We headed off to the South West, in search of a portal at the next site. We had begun to walk up large, elevated patches of ground, often allowing UOPETA to make frequent use of the telescope. On one section, there was practically no tree cover for a good distance, and we were literally able to run straight across it without stopping! Without the telescope, we would have made our way from each piece of cover. We were making excellent headway, and I couldn't help but feel that a good portion of that was down to me! We began to near the site that was located on the map, and unlike the other occasions, the ground had actually flattened out considerably, making the option of it being high up impossible. We came across many small potholes in the ground, that from above we could see led down quite a distance. We would have to tread carefully, so as to not put a hole through and fall into a cavern! Once we were at the site, we began looking around, but we could only find potholes. 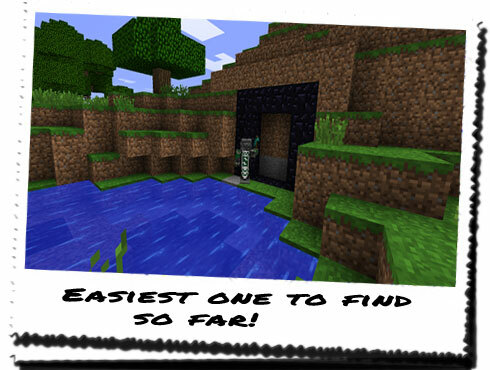 I was looking for a large open area to gain entry underground, and perform the rest of the exploring from there. But with the fright I had yesterday, I was a little hesitant. It had only been a chicken, but it might not be one next time. After some time of searching, UOPETA found what I had been looking for and called us over. "It's likely there's a portal down there... You and THEROS go down and check the place out. I'll stay here and keep guard. Getting down is going to prove troublesome as it is, and I don't want to damage my arm down there with no way out. Try and be quick!" I suppose that was fair: up until now, UOPETA had been doing all of the work keeping us safe. After a few moments of getting ready, I dropped down into the hole, careful to avoid the water flowing to and fro. THEROS quickly joined me, and we lit torches and headed in separate directions. From where I was, I could see dead ends all over the place, but once you actually got down into the main cavern, it was all pretty flat. After a while of searching, I found no additional holes, nor any portals or evidence to suggest one. I hadn't heard from THEROS either so it was unlikely he had found anything either. I headed back the way I came, slightly worried I would get lost. I was terrible at orientation back in the HoN Co. training, but a I rounded the next corner, the placement of rocky outcrops and stalagmites became familiar, and I headed back towards the light coming from the entrance. THEROS was already there. "I couldn't find anything. There are a series of small potholes and passages leading further down, but they're far too narrow to fit into. I suggest we keep this as a definite possibility in the future. It's too expansive to rule out entirely." I told them about my lack of luck in finding anything, and we managed to literally dig our way back out with the pickaxe. Once we were back on the surface, UOPETA began leading the way to due West. "It's a bit sore, but nothing I can't handle. Trying not to over exert myself in case I make it worse. The last thing I need is the arm to fully break!" After I finished off the remains of the portal, I hopped back across to the other side, and gave THEROS time to cross the location from the map. He also circled the previous one so we could come back to it at a later date. "Right, from here, it's due West again. Lead the way UOPETA!" We followed UOPETA as he headed off in the direction of the next portal. Once again, our surroundings erupted into large cliffs and hills, but these we not on our path. Instead we travelled between them, in small valleys which left us vulnerable. We crept through each section; I kept expecting to feel an arrow pierce my skin at any moment. But we made it out to the other side unharmed. Eventually we came to an area where the cliffs to our left were replaced by the coastline, and it opened up, flattening out slightly too. UOPETA took out the telescope again, and began to pan around. 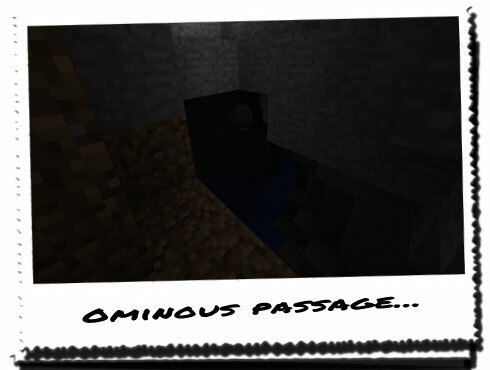 Moving us forwards, we expected to see a portal close to the surface like before, but we couldn't find anything. When we arrived at the correct location, we were on a near perfectly flat grassy plain, with a few trees dotted around; the sea to the left of us, a huge cliff to the right. We looked around for any holes in the ground, hidden overhangs that might be hiding a portal, small entrances in the cliff wall, but there was nothing here... I looked up into the sky, noticing it was early to mid afternoon, but the actual cliff was what had caught my eye. THEXIS had told me about COLUS' plans to expand into another area, or to create a fall-back base if we were ever detected. This would be perfect! It would take some time to assess the structural integrity of the place, hollow it out and do all of that without attracting undue attention, but it was definitely a start! I took a photo of it to pass onto COLUS for him to consider. It was also very close to our current base, so building a secret tunnel or passage linking the two wouldn't be too difficult! After we met up again, we decided this place was better to search when we had more time. 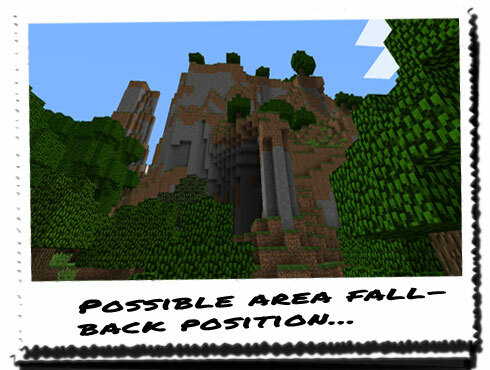 If we were sent to scout it out as a possible location to create as a fall-back point, we could check here again! It would be a lot of work trying to get this place into a condition which would be defensible, but it would be worth it. THEROS circled the location on the map, and we headed off to the South West towards the second to last portal.